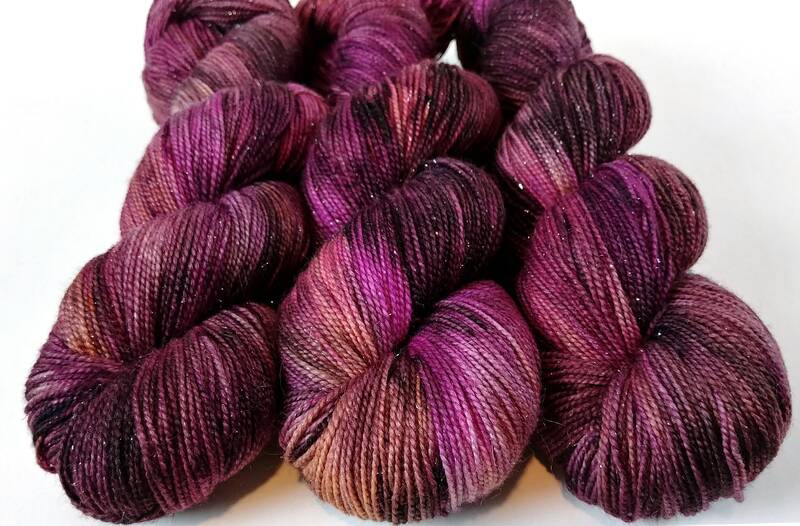 Hand dyed sparkle sock yarn. 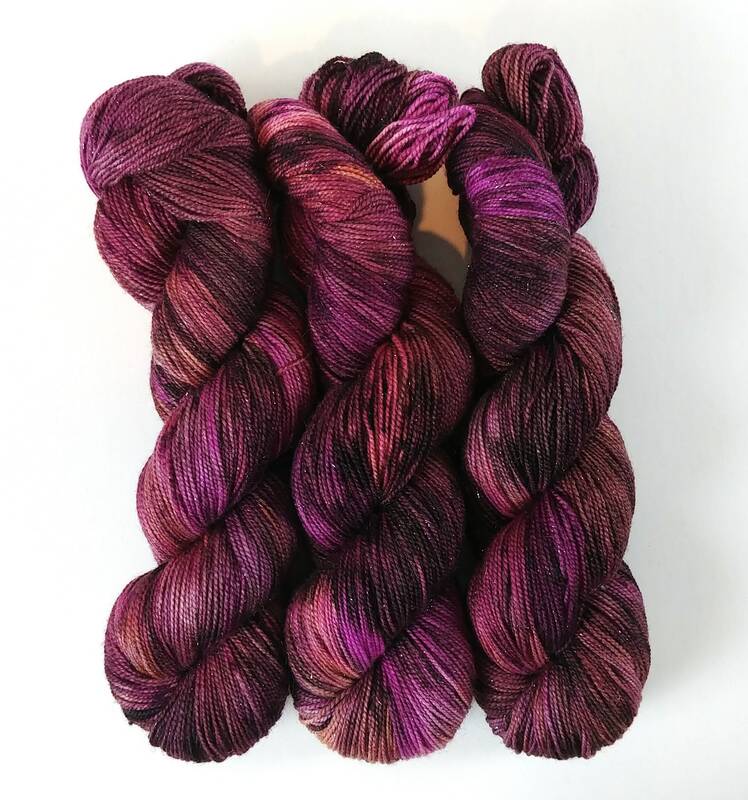 This yarn is dyed in shades of a deep burgundy with areas of peach and fuchsia and a few deep burgundy speckles. The sparkle has proven to be quite difficult to capture in photos but the silver Stellina spun into the yarn makes the yarn glittery in person. Every skein is unique which I believe is part of the beauty of hand dyed yarn. This listing is for 1 skein of Pixie Sock.